The winner and runner-ups of World Mayor 2014 will be chosen based on the number of nominations in relation to the size of their cities and, more importantly, on the persuasiveness and conviction of testimonials received during this year's World Mayor Project. Below we publish a selection of comments received to date about WM nominee Mick Cornett, Mayor of Oklahoma City, USA. Comment: Mayor Cornett should be selected because he has created an example for the world to follow in his unmatched ability to get leaders from the community, non-profits, business, government, and other civic institutions to work together for a common goal. We have accomplished things I never dreamed of growing up here. In his tenure, we are seeing approximately $1 billion in public investment that the people have voted on, supported by disparate groups that he brought together, relating to geographically and functionally diverse infrastructure, all without debt. And that public investment has spurred another $1 billion in private investment  and that number is growing. As a Millenial, I also admire his success in creating a city where we want to be, and encouraging more open-minded, creative thinking and fostering others to develop solutions to unique problems, as well as improving the quality of life for everybody. Comment: I’ve known “Micki” and his family since we were kids. He comes from a fine family where community service was commonplace. His mom was a school teacher FOREVER and his father was instrumental in making sure all NW Oklahoma City kiddos played little league sports as the founder/coordinator of Satellites Athletic Association. So, it is not surprising that Mick has grown into such a great servant for our city. • Together we’ve transformed OKC into a forward-thinking community with a strong economy and high quality of life. • For the past three years, we have had one of the nation’s lowest unemployment rates and one of the country’s strongest economies. • We’ve recognized that smart civic infrastructure and design can nudge people toward more active, healthier lifestyles. • We’re building a community with an emphasis on walkability, transit, urban parks, public art and distinctive districts and strong neighborhoods. • He led the way in the fight against obesity with a community-wide diet resulted in 47,000 OKC residents losing 1 million pounds  and provided a blueprint for other communities to follow our example. Comment: I am submitting a testimonial in support of Oklahoma City Mayor Mick Cornett being named the recipient of the World Mayor Award. He is worthy of this high honor because of his visionary style, collaborative leadership approach and his commitment to ALL Oklahoma City citizens. Mayor Cornett has not just talked a good game, he has walked the walk. He led city leaders in an effort to bring the Oklahoma City Thunder to town and put OKC on the world stage. During his tenure, OKC has become economically healthy; a place where new and established businesses alike can thrive As one of the best cities to do business has led to our economy being diversified so we are not so dependent on the oil and gas industry and its cycles. With a strong economic foundation and low unemployment, the quality of life for leisure living also has flourished. When he said this city needed to go on a diet, he set an example by losing weight himself and led efforts to create a quality of life in Oklahoma City that allows for active lifestyle choices. Mayor Cornett is not concerned about only downtown. We live in the suburbs and now have sidewalks leading to our middle school to provide for the children’s safe passage to and from school. The road in front of my neighborhood soon will be wide enough so residents can safely ride bikes or walk to the city’s paved activity trails. What is most important to me is that his efforts have created a city where young people want to live, including my children. When my husband and I moved here nearly 30 years ago from Boulder, Colorado, I was devastated. There was not much to do, jobs were scarce and downtown was a dead zone. I wanted to move back badly so our children would not grow up and move away after college in search of better jobs and better living. I’m pleased to say that my children, who are 24 and 20, both plan to stay in Oklahoma City. There are jobs and activities for young people with a “trendy” downtown, activities for young families and there soon will be senior centers to keep us active as we mature. With the Oklahoma City Thunder and MAPS 3, Mayor Cornett has branded Oklahoma City worldwide as one of the best places to live and work. I also am proud to note that as the campaign manager for MAPS for Kids* it is very gratifying to see that Mayor Cornett had the vision and ability to go one step further and lead the effort to create a city where those children who currently are benefitting from MAPS for KIDS will be proud to call OKC home as they grow into young adults. Comment: Mick Cornett, throughout his years as mayor of Oklahoma City, has supported and furthered the enhancement and progress of Oklahoma City through the MAPS initiative. The MAPS plan for the city has been a master plan to develop and fund projects to enhance and improve the city and the lives of the people who live here. We have seen the renaissance of Oklahoma City from the broken shell of a downtown urban area to a thriving, vibrant center for commerce, entertainment, international competitions, conventions, and so much more. Our downtown is a great place to live, raise a family, enjoy the arts and athletic events and so much more due to the hard work of the Oklahoma City Council and the leadership of Mayor Cornett. Throughout his first three terms as mayor, Mick Cornett, has been a driving force in the progress and momentum of the MAPS projects. He has campaigned for passage of these funding programs to help improve our greater Oklahoma City area schools, roads, sidewalks, senior aquatic centers, and many more quality of life projects. He was a driving force in getting our NBA team, the OKC Thunder, moved here to OKC. He has also worked to help get our Oklahoma River district developed into a global destination for rowing and kayaking, as well as getting our U.S. Olympic Committee headquarters for these sports located here. During the past four years, Oklahoma City has experienced one of the lowest unemployment rates in the country and one of the strongest economies. Oklahoma City has attracted businesses to relocate here in the central part of the United States by having a strong economy, a low cost of living, and an available skilled work force. Just this week, Boeing announced that they were relocating 900 new jobs to the Oklahoma City area. This move can be attributed to the Oklahoma City Council and Mayor Cornett. Comment: I have had the distinct honor to know Mick Cornett for many years even prior to becoming Mayor. I first got to know him as a member of the media and also my civic involvement. I found him to be highly accessible and he even called my editor while on city business out of state before our deadline more than once. True commitment and follow through are key components to his success!! I along with thousands of others also consider him a friend. Mayor Cornett is a tireless champion of moving our great city forward (and upward). He has done much to work on improving infrastructure, services and quality of life issues that continue to transform our city. He also has continued the hard work of previous mayors seeing their initiatives are carried out successfully for Oklahoma City. From having the vision to make OKC a big league city which ultimately brought the NBA Oklahoma City Thunder to helping making our city more walkable and hundreds of other initiative, Mayor Mick as we lovingly call him has put an intelligent, well spoken face to the rest of the world. Comment: My name is Joe J  I am the CEO of Oklahoma City-based USA Canoe/Kayak, the national governing body of competitive paddlesports in the United States and member of the United States Olympic Committee and International Canoe Federation. At a time of intense political divisiveness, Mayor Cornett time and time again creates and oversees one of the most collaborative and public trusting environments found anywhere in the United States. Our community story is an unlikely one  unprecedented capital investment in our quality of life in Oklahoma City, progressive attention to health and wellness of our citizens, our growing economic prosperity and one of the most opportunistic landing spots for young people/millennials found anywhere in the United States all in a place you’d least expect. In my life, I had more than my share of opportunities to perform at an elite level and observe others who have done the same  I won America’s first ever Olympic Gold Medal in Whitewater Canoe Slalom at the 1992 Olympic Games. Mayor Cornett is THAT kind of elite level performer. He never takes his eye off the goal and methodically moves our community forward towards that goal. It’s impossible to quantify the value that Mayor Cornett and his leadership has brought to USA Canoe/Kayak. Six years ago, during the Canoe/Kayak Olympic Trials in Oklahoma City, he extended an invitation to our organization to not only come to Oklahoma City and realize the benefits of our outstanding community but to truly become a stakeholder in the development of our city. It was honor and privilege to lead USA Canoe/Kayak to and through our relocation to Oklahoma City and become a part of the momentum that makes our athletes and community better every day. Comment: He didn’t come from a ‘privileged’ family and he worked his way up in the world. He understands the meaning of hard work, perseverance, kindness and the philosophy of a forward moving culture that can make for a quality lifestyle and lift the economy of the city. He is a business man and understands the need for their support in helping OKC move forward. Mick understands a successful city is built with ‘Quality of Life’ standards and green areas….not just concrete. Comment: As a tourism professional I have had an opportunity to work in several cities over my career. Each of those cities has had its own unique selling points and certainly a large portion of civic pride. Fortunately most of the elected officials I have worked with have been solid, well-intentioned and thoughtful individuals dedicated to their cities. But none of the City Council members, County Commissioners, or City/County Mayors or Executives I have worked with has been like Mick Cornett. Mayor Cornett’s passion for Oklahoma City is real, honest and boundless. While we have all seen phony self-serving politicians in office there is none of that in Mick Cornett. He is 100% committed to OKC and truly give his all to help us each and every day. 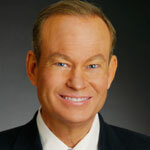 Mayor Cornett is the City’s “Cheerleader in Chief”. In my 30 years of work in the tourism industry he is hands down the best public official I have ever worked with in any setting. He is always thoughtful in his comments, either in letters or in person. He takes time to meet and greet when he welcomes groups and the people he comes in contact with see him as genuine. He provides meaningful assistance from his office instead of just the comment “if my office can help”. He asks insightful questions when we discuss tourism with him and remembers the answers when he speaks in public about our industry. He listens to industry leaders because he understands tourism as an economic development industry for Oklahoma City. Bottom line, Mick Cornett gets it like no Mayor I have ever seen elsewhere. We are very fortunate to have him as our Mayor. He follows 2 outstanding men who have set sterling examples of leadership and is representing both of them, their vision and the City’s interests extremely well while bringing his own perspective, vision and values to the service of our citizens. Mick is truly what “servant leadership” is all about.